Our services are focused around understanding and improving your website’s overall performance, and helping you to increase it’s success. We help businesses of all sizes to make their website more successful. By more successful we are talking about increased exposure on the Internet (notably Google), increased number and quality of visitors and improved conversion rate leading to more sales or enquiries. We use our extensive knowledge and experience, coupled with cutting edge tools and data analysis to provide advice and guidance to you, at a level, and in a manner that suits your business needs. We are comfortable assisting businesses of any size. The online landscape has always evolved at a great pace and even more so in recent years, especially with the rapid growth of social media and the constant evolution of Google. Competition for online exposure has increased and the requirements for website and online business success have become more complicated. The measurement, analysis and understanding of all these factors which combine to drive your website’s online performance is essential. A consultancy aspect forms the basis of our services, and will guide activities that need to be undertaken to improve your website’s performance, measurable over time. WE advise you and provide a level of support that is matched to your needs. 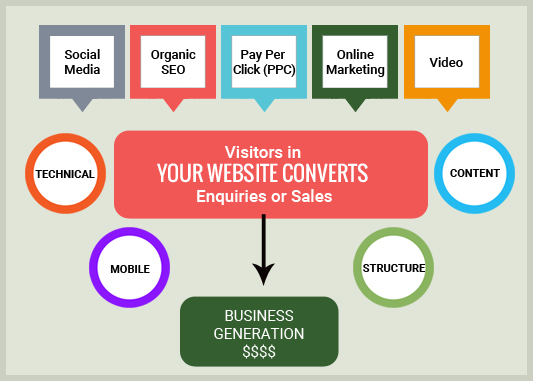 Advanced understanding of your website’s visitor activity from source to goal completion is important for all aspects of website performance and for SEO. Quality content that stands out in your industry will rank the highest on Google and a focus on the holistic growth of website authority is required. The content will need to be unique, very high quality and where possible based on new data/research and professional opinions. The promotion of sharing, discussion and interaction of your content will be important. Increased Social Media activity is now required for trust building, brand exposure and increasing contribution to SEO. Increased emphasis on your position as an industry leader will require participation in blogging and social media. "Webstrategies have made a significant contribution to our business through their web support and search engine optimisation expertise. Ashley Bryan and team are always highly responsive, and willing to share their expertise to benefit our business. Ashley has the ability to translate our business objectives and goals into measurable outcomes and increased sales revenue. Their services are highly recommended"
"Ashley was recommended to us at the early stages of launching our ecommerce website. He is great to bounce ideas off and expertly guides us through the process of what needs to happen. His monthly SEO work has pushed our website up onto page 1 of Google for many of our keyphrases. We are provided with an excellent report at the end of each month and discussion as to what we should implement next. Ashley has no doubt helped our websites performance and we wouldn't have got this far without him."